Finland has come out again with an amazing musical force on to a equally eager metal world scene. 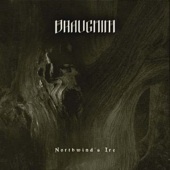 This enigmatic snow swept country has introduced me to many amazing metal bands over the years, including my favourite Christian Death Metallers Immortal Souls... now Finland has served me up another stellar band by the oddly named Draugnim. All I have to say is...Damn!!! Pagan styled metal with a little bit of Viking lore has never sounded so good or so damned loud either... Draugnim seems to do it better than most of the bands that have came out. They have appeared to have studied their craft well, and taken lots of time and effort to forge just the right song and emotion into each second. Haunting, brutal to the max and having this mesmerizing quality to both their music and lyrics, the band gives you one hundred percent of themselves without any hint of fluff. This amazing group of musicians uses heaviness that is normally set aside for intense Black Metal to make up their music..but adds in so much more into the songs than meets the eye. Symphonic and heavy... pretty good mix, if you ask me. They do give me the sense in the end that they have listened to one too many Emperor albums in the past, but that is not a bad thing either... actually it is a good thing. Draugnim did take what they have learned and made something that it purely their own... is that not what Metal is all about. When it comes down to it, that is the idea behind metal.